Notes: By 1860 most of the rail network was in place, leaving only the gaps between main line stations to be filled. Central and West Essex, a predominantly rural area, had been largely ignored during the initial development because it wasn't considered a viable proposition. Although the Bishops Stortford - Braintree Line closed in 1952, August Bank Holiday excursions continued to use the line until 1964. 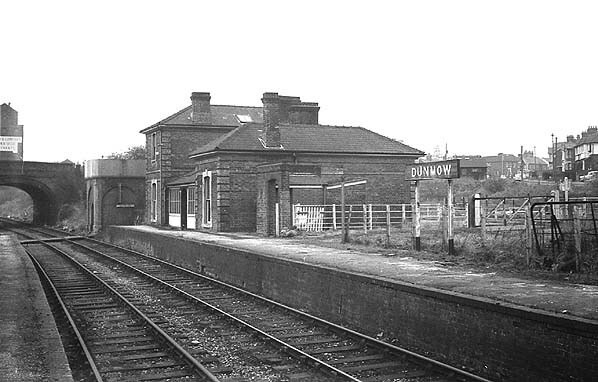 Dunmow was the principal intermediate station on the line and the only one to have two platforms. The main brick built station buildings were on the down platform including the station masters house, booking hall, office, waiting room, ladies' room, lamp room and porters' room. The signal box was also on this platform. The other platform has a wood and brick waiting shelter. The goods shed was located at the back of the up platform. 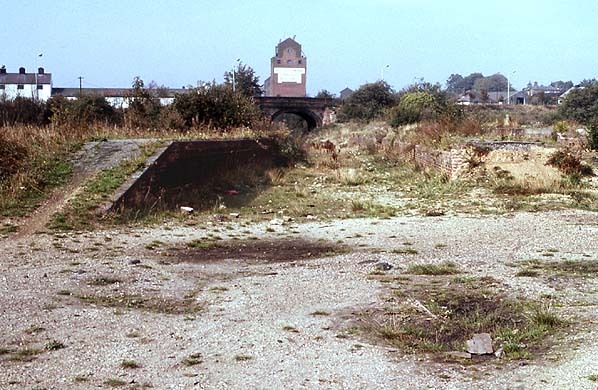 The goods yard was on the down side consisting of two sidings serving the coal yard. Two further sidings served a loading dock and cattle pens. There was also a cast iron water tank on the down side of the line. A private siding to the west of the station served the Dunmow Flitch Bacon Factory. 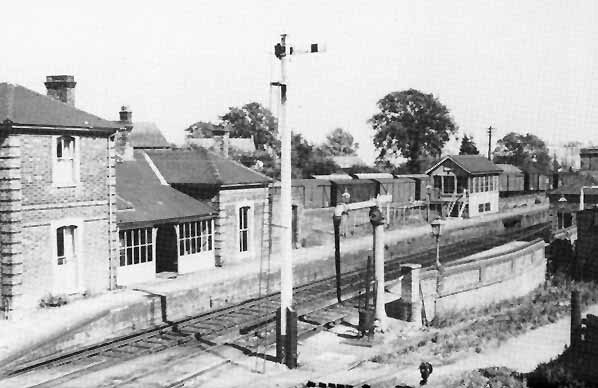 Shortly after the track was lifted in 1971 the station buildings at Dunmow were demolished. They had been badly damaged by vandals and were demolished after complaints from the council. 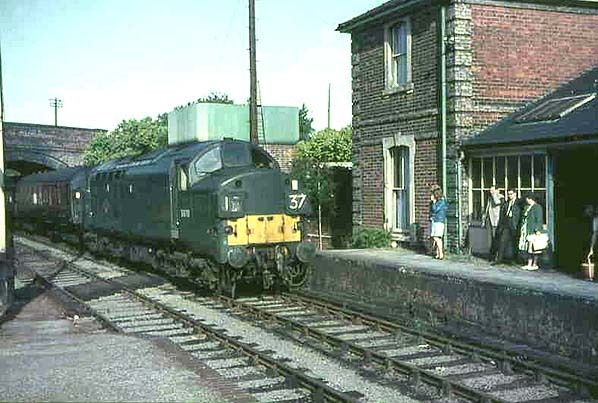 Dunmow Station in September 1968, 8 months before the freight service was withdrawn.